News Bite: Research indicates that back pain is common, costly, and a considerable proportion of work absenteeism and lost productivity. This study conducted a systematic review of guidelines on the management of LBP to assess their methodological quality and guide care. Back pain is costly, accounting for a considerable proportion of work absenteeism and lost productivity. Moreover, it is the most common reason for visiting a healthcare provider for musculoskeletal complaints. 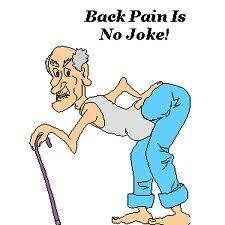 More than 80% of people experience at least one episode of back pain during their lifetime. Back pain is a common source of disability, whether the pain is attributed to work, traffic collisions, activities of daily living, or insidious onset. Although multiple clinical interventions are available to treat back pain, current evidence suggests that their effects appear small and short term. Low back pain (LBP) is a major health problem, having a substantial effect on peoples’ quality of life and placing a significant economic burden on healthcare systems and, more broadly, societies. Many interventions to alleviate LBP are available but their cost effectiveness is unclear. This study conducted a systematic review of guidelines on the management of LBP to assess their methodological quality and guide care. They synthesized guidelines on the management of LBP published from 2005 to 2014 following best evidence synthesis principles. (4) patients with lumbar disc herniation with radiculopathy may benefit from spinal manipulation. Overall, most guidelines target nonspecific LBP and recommend education, staying active/exercise, manual therapy, and paracetamol or NSAIDs as first-line treatments. Most high-quality guidelines recommend education, staying active/exercise, manual therapy and paracetamol/NSAIDs as first-line treatments for LBP. Recommendation of paracetamol for acute LBP is challenged by recent evidence and needs updating.